The Department of Justice (“DOJ”) announced yesterday that “[a] major U.S. hospital chain, Tenet Healthcare Corporation, and two of its Atlanta-area subsidiaries will pay over $513 million to resolve criminal charges and civil claims relating to a scheme to defraud the United States and to pay kickbacks in exchange for patient referrals.” Additionally, “two Tenet subsidiaries, Atlanta Medical Center Inc. and North Fulton Medical Center Inc., have agreed to plead guilty to conspiracy to defraud the United States and to pay health care kickbacks and bribes in violation of the Anti-Kickback Statute (AKS),” the DOJ said. Tenet HealthSystem Medical Inc. and its subsidiaries have entered into a non-prosecution agreement with the U.S. Attorney’s Office for the Northern District of Georgia. Tenet HealthSystem Medical Inc., “the parent company of Atlanta Medical Center Inc., North Fulton Medical Center Inc.,” and others, is a subsidiary of Tenet Healthcare Corporation. Under the terms of the non-prosecution agreement, Tenet HealthSystem Medical Inc. “will avoid prosecution if they, among other requirements, cooperate with the government’s ongoing investigation and enhance their compliance and ethics program and internal controls.” Tenet has also agreed that it will “retain an independent compliance monitor to address and reduce the risk of any recurrence of violations of the AKS by any entity owned in whole, or in part, by Tenet.” The non-prosecution agreement’s obligations will remain place for three years. On the civil side of the settlement, Tenet has agreed to pay $368 million to the U.S. government, the State of Georgia, and the State of South Carolina to resolve allegations arising out of a 2009 qui tam lawsuit filed by relator Ralph D. Williams under the False Claims Act (“FCA”). For his efforts in bringing the whistleblower suit against Tenet, Mr. Williams will receive approximately $84.43 million. The remaining portion of the civil settlement will be split among the federal government ($244,227,535.50), Georgia ($122,880,339.70), and South Carolina ($892,125), respectively. 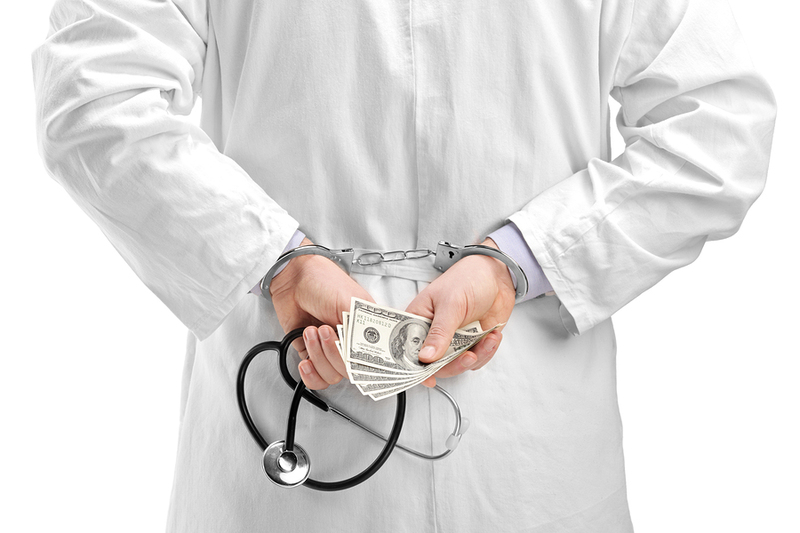 Atlanta Medical Center Inc., North Fulton Medical Center Inc., Spalding Regional Medical Center Inc. and Hilton Head Hospital paid bribes and kickbacks to the owners and operators of prenatal care clinics serving primarily undocumented Hispanic women in return for the referral of those patients for labor and delivery medical services at Tenet hospitals. These kickbacks and bribes allegedly helped Tenet obtain more than $145 million in Medicaid and Medicare funds based on the resulting patient referrals. As part of the alleged scheme, Tenet and its subsidiaries would in some cases tell expecting mothers at their “prenatal care clinics that Medicaid would cover the costs associated with their childbirth and the care of their newborn only if they delivered at one of the Tenet hospitals.” In other cases, Tenet and its subsidiaries would simply tell expecting mothers that “they were required to deliver at one of the Tenet hospitals, leaving them with the false belief that they could not select the hospital of their choice.” As a result of these “false and misleading statements and representations, many expectant mothers traveled long distances from their homes to deliver at the Tenet hospitals, placing their health and safety, and that of their newborn babies, at risk,” the criminal information said. As noted, Williams will receive about $84.4 million from the recovered funds for his role in bringing the case. In his initial lawsuit, Williams alleged that, for at least a decade, Tenet made Medicaid claims for undocumented Hispanic foreign nationals funneled to Tenet by prenatal clinics operating in Georgia as Clinica de la Mama and Clinica del Bebe. According to court filings, expectant indigent mothers were directed by the clinics to Tenet hospitals to make them more cost-efficient by boosting the volume of hospital deliveries and were misled into believing their costs associated with childbirth would be covered only at those hospitals. Tenet hospitals also used sham contracts to provide cover for the payments of kickbacks for referrals involving tens of thousands of undocumented pregnant Hispanic patients, according Williams’s civil suit. According to Williams’s court filings, Tenet’s clinics collected as much as $20,000 a month per hospital. “This case is about lying, stealing and cheating,” said Marlan Wilbanks, Williams’s lawyer. Wilbanks’ partner, Susan Gouinlock, noted that the federal government did not intervene in the case until 2013—years after the suit was initially filed in 2009. Thus, it stands to reason that, without the preliminary efforts by Williams and his counsel, the whopping $513 million settlement with Tenet may not have been possible. It is even more possible that Tenet’s fraud may have continued to fly below the federal government’s radar for a number of additional years but for Williams’s qui tam lawsuit. The case against Tenet shows how vital whistleblowers are to the federal government’s ability to stop fraud. Tenet, who eventually sold Atlanta Medical Center and North Fulton Hospital in March 2016, has said that neither the Atlanta Medical Center, nor the North Fulton Hospital, currently has any operating assets at the present time. Trevor Fetter, the Chairman and CEO of Tenet has explained that “[t]he conduct in this matter was unacceptable and failed to live up to our high expectations for integrity. The relationships between the four hospitals and Clinica de la Mama violated the explicit requirements of our compliance program and were inconsistent with the strong culture of compliance we’ve worked hard to establish at Tenet.” Tenet has also said that “it has revamped its policies for referral source arrangements and is strengthening its audit and oversight activities in light of the alleged conduct.” Tenet announced the $513 million settlement to its shareholders back in August. If you or someone you know has information regarding potential violations of the FCA, or other federal whistleblower laws, please contact our whistleblower attorney team today. Under the FCA, a whistleblower may file a qui tam action on behalf of the government against the alleged wrongdoer. If, in the event that a qui tam action is successful, a whistleblower may be awarded anywhere from 15%-30% of the total amount recovered from the alleged wrongdoer, depending on whether the government became involved in the suit or not. Our whistleblower attorney team can be reached via email at kporter@chrisjen.com, or by phone at 801-323-5000, or through our contact form.